Players and coaches alike know that cervical pine injuries place players of this American contact sport at high risk. All too frequently, this type of injury happens when a player lowers his head just before either blocking or tackling an opposing player. Once the lowering movement is made, the Cervical Lordosis and cervical spine flatten out – taking away almost all of the spine’s ability to absorb the shock of the hit. Such a hit can result in symptoms that range in severity from temporary pain and weakness in extremities to cervical cord neuropraxia which may result in permanent damage or death. Advising players about the importance of keeping the head up. Explaining why making first contact with the helmet may be harmful. The importance of a protected neck. How to keep your head protected beyond simply wearing a helmet. Pre-season safety meetings with players, coaches and parents may help all involved to take heed of the many ways to stay safe while still enjoying America’s favorite sport. Benjamin Franklin is credited with the phrase “An ounce of prevention is worth a pound of cure”. In the case of football injuries, this certainly rings true. Working with a chiropractor who can help instruct coaches and players has been shown to decrease the rate of injury. 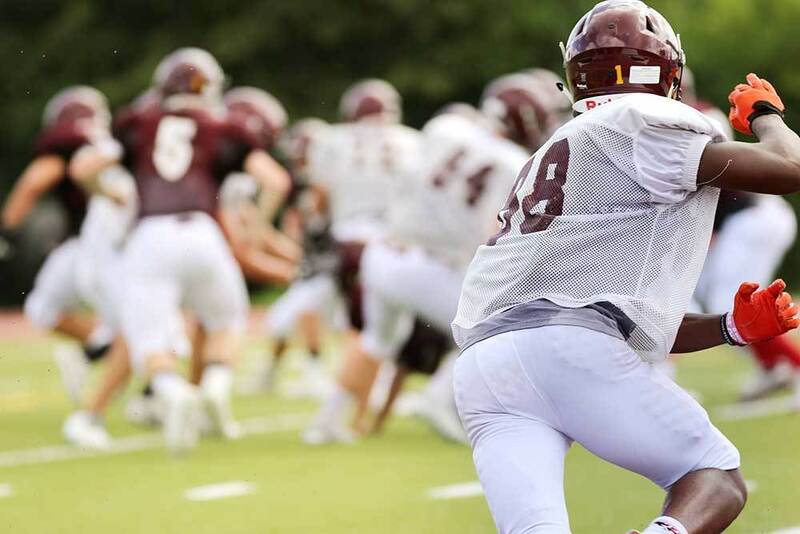 Having a plan for addressing any catastrophic injuries that may happen at practice or during a game is another way to ensure that all involved will be prepared, should an injury occur.